Travelwireglobal.com, the worldwide online travel agency and tour company, has announced new packages to Jamaica for Reggae Sumfest and Jamaica 50 starting at $499.00 per person including tickets to celebration events and shows in Kingston and Montego Bay. TravelwireGlobal.com, combines the convenience of booking travel online with a personal touch and the best prices. 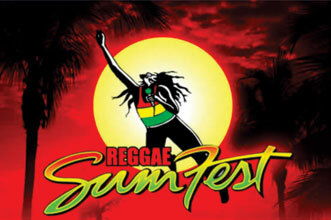 Experience Jamaica’s 50th Anniversary and Reggae Sumfest - the greatest reggae show on earth - with TravelwireGlobal.com. The online travel agency has introduced two new packages ensuring maximum fun and entertainment at minimal cost. Celebrate Jamaica’s 50th Independence Day with five-night packages for travel August 4-9, 2012 at the Wyndham Kingston Jamaica Hotel starting at $650 per person or in Montego Bay at the all-inclusive Sunset Beach Resort starting at $580 per person. All prices are based on double occupancy. The packages also include passes to the Independence Day Parades and vibrant street dances to experience this once-in-a-lifetime event in Jamaica. Transfers to the celebrations and to and from the airport and hotel are included. The Reggae Sumfest Package consists of exciting offers to choose from and provides the perfect getaway to Jamaica’s Montego Bay and an opportunity to dance and sing out loud with some of the world’s greatest reggae artists. The value-for-money options include a four-night stay at the Wexford Hotel Montego Bay from July 18-22 with breakfast and VIP Weekend Reggae Sumfest passes for all nights starting at $660 per person or a three-night package for just $499 per person at the Wexford Hotel from July 19 – 22 with breakfast and VIP Weekend Reggae Sumfest passes for two nights. All prices are based on double occupancy. Transportation need not be a matter of concern as transfers to and from the airport as well as to the Sumfest concerts will be provided. For more information or to make a reservation visit http://www.travelwireglobal.com, call toll-free 1-800-586-1522 or direct at 1-718-766-9995. TravelwireGlobal.com is a worldwide online travel agency and tour company offering a new generation of discounted offerings and event packages for travelers with Signature Personal Service. Whether it’s a business trip to Europe or a beach vacation to the Caribbean, Hawaii or Mexico, Travelwire Global Inc. provides business and leisure travelers with the tools to plan and book their comprehensive travel needs from flights and car rentals to cruises, all-inclusive hotels and custom tours. At Travelwire Global Inc. we turn traveler’s dreams into reality. Getaway to Jamaica's Montego Bay with a Reggae Sumfest package from Travelwireglobal.com, VIP packages start at $499 and include passes to the world's greatest reggae show. 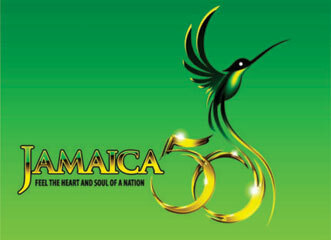 Celebrate Jamaica 50 in Kingston or Montego Bay with packages from Travelwireglobal.com starting at $580 per person including passes to the Independence Day Parades and more.